I have nothing clever to blog. But this week it will be!!! Promise!!! To make your hearts warm and fuzzy, just a picture of our monster. omg so cute! 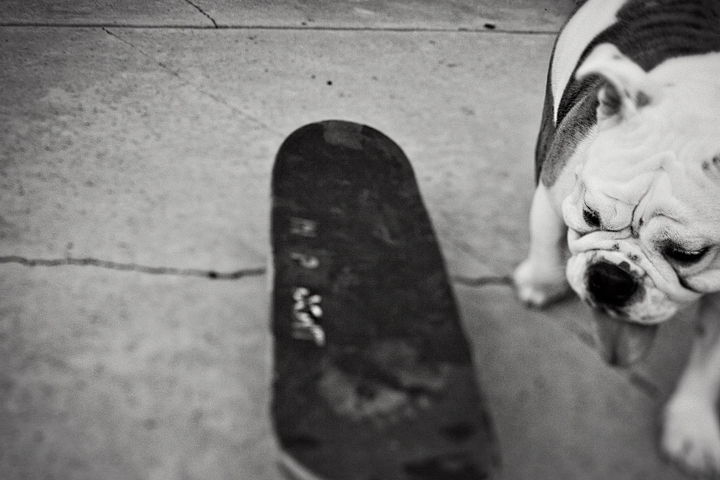 what is it with bulldogs and skateboards?? lol. I have 2 shepherds and they will not step on a skateboard for the life of them--but I have managed to teach them to treadmill! =D You need to video his skateboarding skills!! maybe next can be the surfboard??? i love it! !